The Jubilee head was released in 1987 to celebrate the 25th Anniversary of Marshall. It is heavily based on the JCM 800 of the time, featuring a very similar output section along with a new preamp. This amp is part of Slash's live gear since Guns N' Roses era. Joe Bonamassa explains his use of the Silver Jubilee at around 4:20 in the source video. He says, "This particular amp has been on tour with me for 15 years and it's never broken down." At 8:45 in this video, you can see that Tom used a Silver Jubilee in 2003 when recording the Blink 182 self titled album. 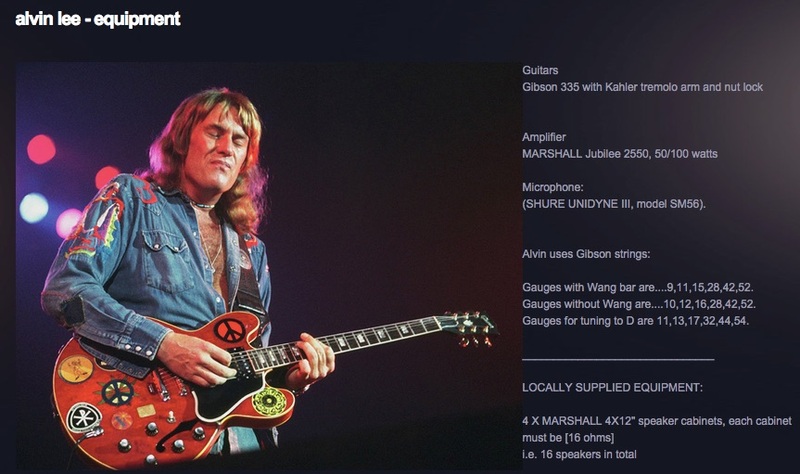 The Marshall Jubilee 2550 (50/100 watt) amp is listed as part of Alvin's official gear on [his website](http://alvinlee.com/equipment.html). The best master volume Marshall ever made. This is the perfect amp for a band situation. The EQ sits perfectly in the mix allowing you to hear everything you play. It has plenty of gain so that you don't even need an OD or boost, but responds very well to pedals anyway. Keep the rhythm clip pulled out and use the second 'channel' as a solo boost and you're good to go. Love the sound of it and tone is clean and smooth.